The big font is from Wizball as well, the best computer game ever made. 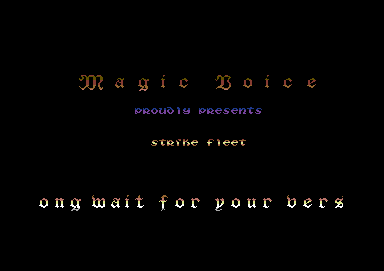 The small font is by Jon Hare of Sensible Software (Wizball). The large font looks similar to Wizball, but I think it's slightly different... not sure. I believe the font is from Wizball, Time Machine or some other very recognizable game, right?